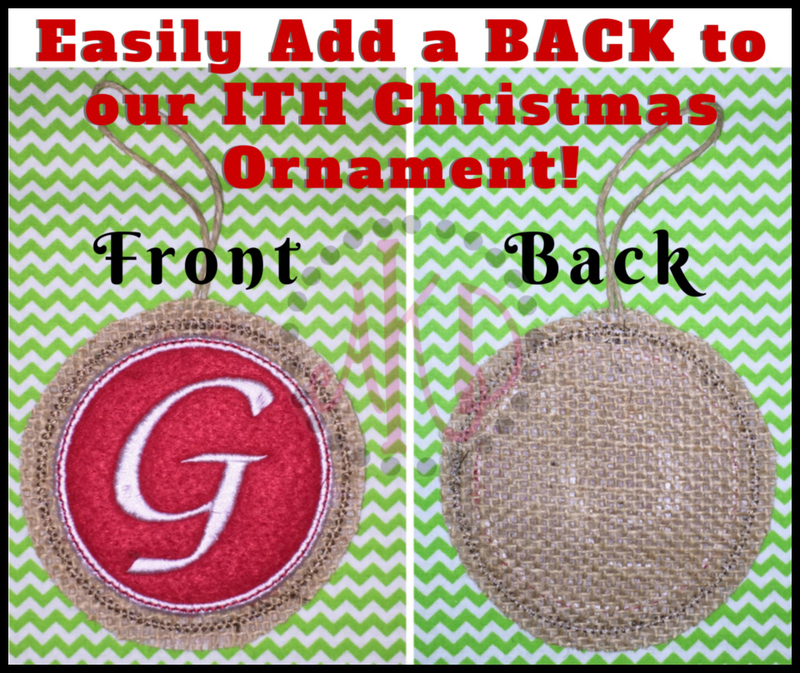 11/6/15 - We've made 2 updates to the ITH Circle Frame Ornament design files: 1) Made the satin stitch wider around the fabric and 2) Changed start/stop points for each layer. If you purchased this set before 11/6/15, you can download the updated files by logging into your account then click on View Order Status. This is a fast ITH ornament to make, and fun to give also! this is a great applique ornament. Easy, quick, and the instructions and pictures are wonderful. So many possibilities with this cute burlap ornament! Love it!